The end draws near for The End. 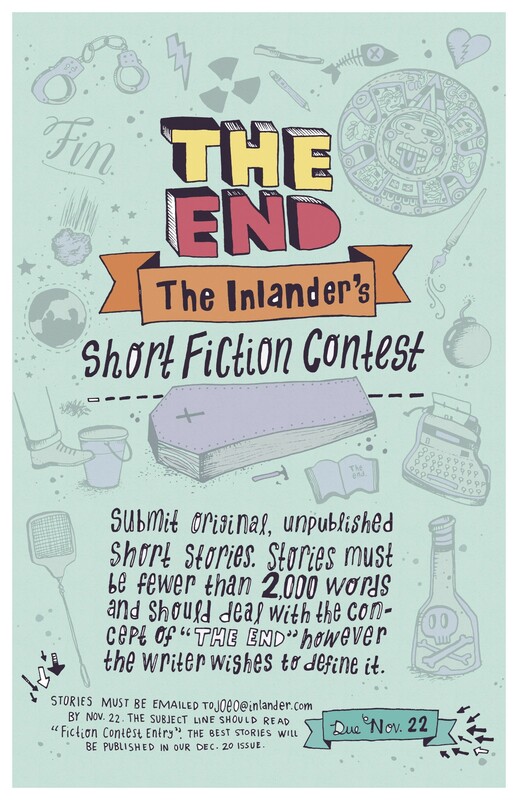 You've got just three days left to submit your stories for The Inlander's short fiction contest. Multiple stories by one author will be accepted, but each story must be 2,000 words or less. This year's theme, however you wish to interpret it, is "The End." Winner or winners will be published in our late December short fiction issue. The deadline is this Thursday evening, 11:59 pm PST, Nov. 22. Send stories along in word attachment to Joe O'Sullivan.